Who we are, where we come from, where we're headed, and how you can connect. Here's the deal: Catalyst Church cares about one thing more than anything else, Jesus Christ. Catalyst Church is a family of individuals who have found hope in Jesus and simply want as many people as possible to experience that exact same freedom. Catalyst Church was birthed out of a vision that God put on David and Rachel Whitmore's heart. The Whitmores moved to Evansville in July 2010 and immediately began working to plant Catalyst. The church initially met in their apartment with just a handful of people. By late fall of 2010, the church had outgrown their apartment and began meeting at a local Fairfield Inn. 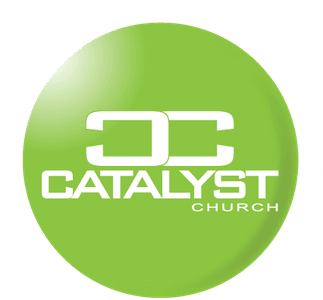 After the official launch of Catalyst in February of 2011, David was approached by another pastor whose church had recently moved out of the location at Claremont Ave. In April of 2011, Catalyst moved to the location at Claremont Ave. Initially, the church met in what is now the children's ministry space. Over the course of the next three years, the church acquired the remaining sections of the building and remodeled it for the church's purposes. In just 8 years, God has done amazing things in and through Catalyst Church, and we believe this is just the beginning! What's the bottom line? More than ever, Catalyst Church is committed to fostering a family built around hope. Catalyst for the future. 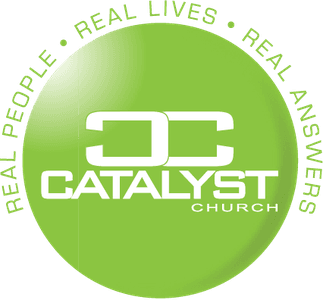 Catalyst for better. Catalyst for progress. Hope in Jesus. And as we move forward as a church family, inclusion and belonging remain at the center of who we are as followers of Christ. What does this mean for you? Most importantly, you're always welcome at Catalyst Church. We're saving a seat for you. 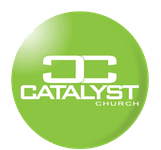 Wherever you are in your faith journey, you'll always be accepted as part of the Catalyst family.